Even though were still experiencing triple digit weather here in Arizona, i've already got my mind on fall. This year it's all about hardware detailing, a strong pointy toe and a classic casual bootie. Which one is your favorite? 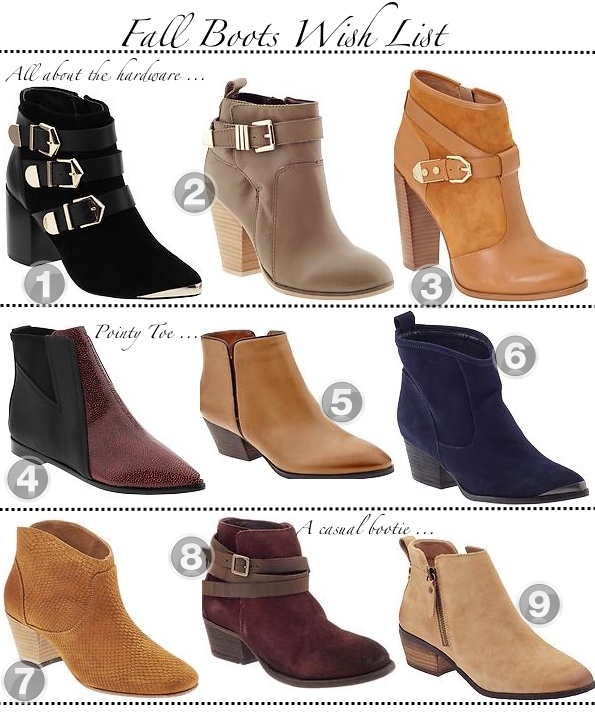 Piperlime is having a killer sale right now on their fall boots until August 1st. Use code 'CLOSET' at checkout to receive 25% off any of the styles above. I've already ordered a few! Still waiting for these Schutz babes to go on sale! !